The Coco-Pops at Wegmans now come in flavors! 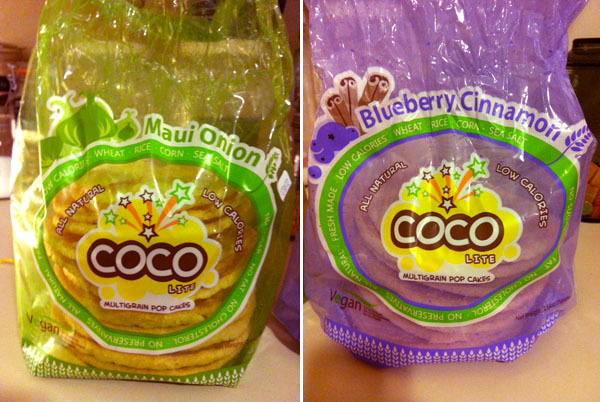 Maui Onion and Blueberry Cinnamon. I like to dip the Maui Onion in red pepper hummus and smear peanut butter on the blueberry cinnamon. They are 16 calories a pop! I mean c'mon. You can burn that off taking off the twist tie! I am so glad this internet thing works and your article really helped me. Might take you up on that home advice you.You make it entertaining and you even now manage to help keep it wise.